Excellence is a standard which transcends the test of time. For over a century, Red Wing purpose-built footwear has been at the spearhead of innovation in the standard of excellence for work boots. For three generations, the Gardner family has lived, worked, breathed, and dreamed about Red Wing Shoes, right here in Central Virginia. Around the turn of the 19th century a Red Wing, MN shoe merchant named Charles Beckman saw a local necessity for shoes specifically designed for the demanding work of industries such as mining, logging and farming. The rigors of these jobs required footwear which was tough enough to outlast harsh working conditions. Beckman envisioned a shoe that could protect these workers. However, he didn’t want to stop there! He wanted his boots to be extremely comfortable for the hardworking people who wore them. 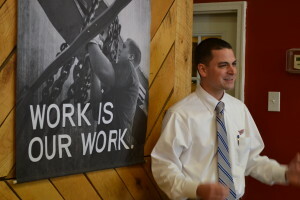 Beckman set out to develop work boots to fill this need. In 1905, he and fourteen investors opened a company that would change the market. Beckman named his company Red Wing Shoes, and thus a new standard for excellence was born. Over a hundred years have passed since our founding. However, our commitment to producing only the highest grade footwear remains as unwavering as Beckman’s vision. Our products consistently perform in environments spanning from the Mideast oil fields to the Midwest corn fields. Red Wing boots protect workers in more than one hundred countries across the world, an accomplishment built by years of hard work, endurance and the promise to never compromise on our quality. A testament to that promise can be found in our Heritage collection which is made up of footwear that represents the American ideals of prosperous work and excellence. All the styles in the Heritage collection are designed and built just as they were fifty, sixty and even over eighty years ago and are all made using premium Red Wing Shoe Company leather from our very own S.B. Foot Tannery. They are handcrafted to the specifications which made each style timeless when they were first introduced. Red Wing products are proven to perform and outlast. Behind each pair of shoes exists over a century of experience. So whether you are buying footwear, garments or accessories, rest assured that the Red Wing logo stands for a standard in excellence like no other. 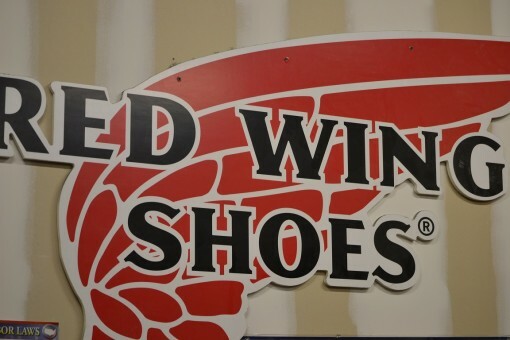 At Red Wing Shoes, work is our work!